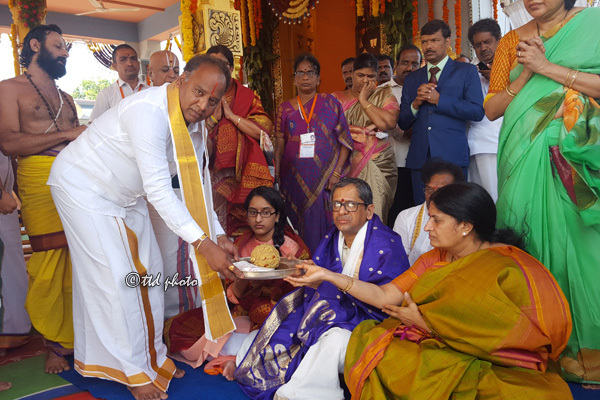 Vijayawada : The Supreme court judge NV Ramana today visited the model srivari temple got at the PWD grounds for the Krishna Pushkaram and had darshan. Earlier the TTD JEO KS Sreenivasa Raju and TTD priests received the judge at the temple traditionally and later presented him Srivari prasadam after the arshir vachanam by the vedic pundits. Among others TTD SE Sudhakar Rao, Deputy EO Rajendrudu participated in the event.